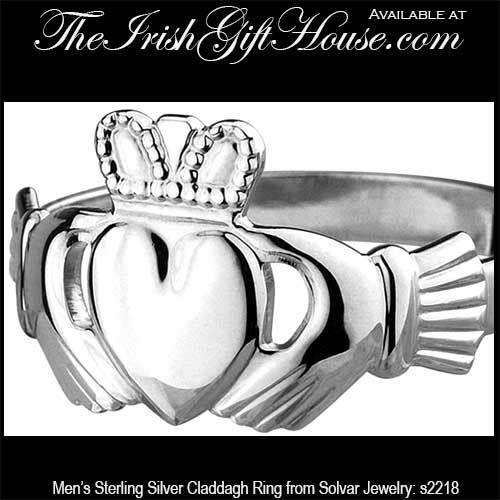 This sterling silver Claddagh ring is a light weight design for men. This men's Claddagh ring has been hallmarked sterling silver by the Irish Assay Office at Dublin Castle in Ireland. This sterling silver Claddagh ring for men measures 1/2” tall, but please note that it is a thin and light weight design. 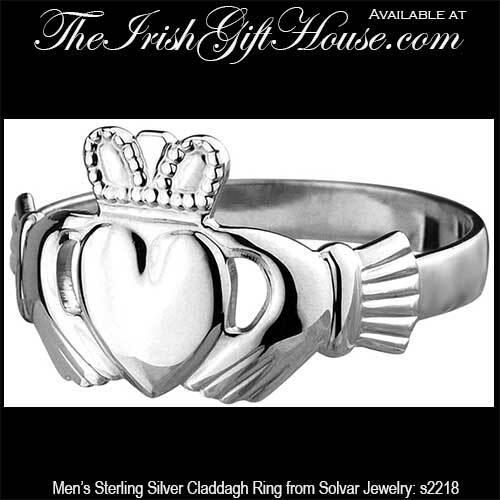 The men's Claddagh ring is made in Ireland by Solvar Jewelry and is gift boxed with Claddagh legend and Galway folklore cards that are compliments of The Irish Gift House. This men's Claddagh ring is available in sizes 8 through 13 1/2, including half sizes.